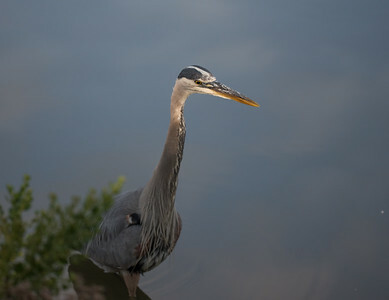 Great Blue Heron watching for fish in Pond B. 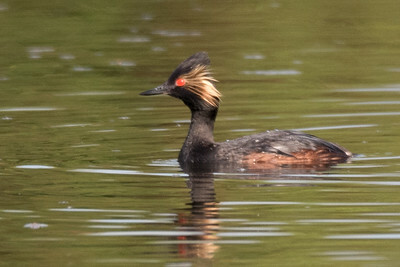 Western Grebe swimming in Pond 1. 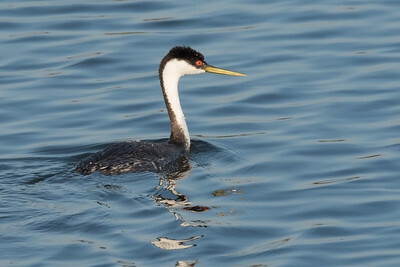 A male Eared Grebe in breeding plumage between dives in Pond C.
Black-necked Stilts, The three amigos going for a walk. 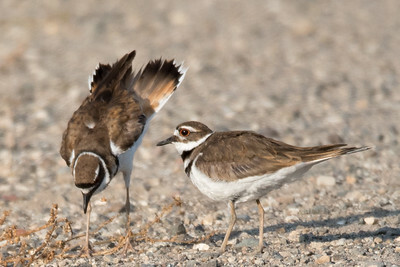 Killdeer on the berm next between ponds C and D.
I'm not quite sure what the bird on the left is doing. 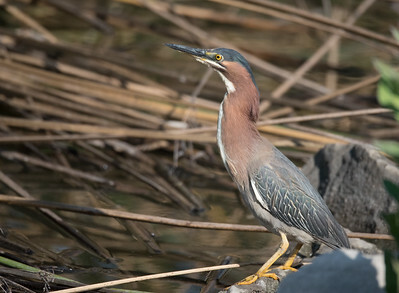 It started sitting down in this orientation, and then stood up as the bird on the right approached. 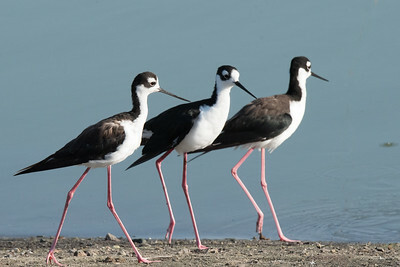 I'm not sure whether the display was aimed at the second bird or at me. 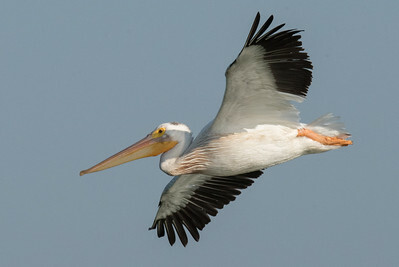 An American White Pelican coming in for a landing on pond 2. 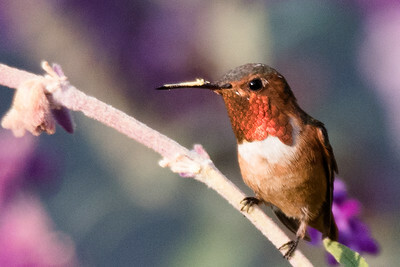 Allen's Hummingbird perching in the Mexican Sage next to the Audubon House. 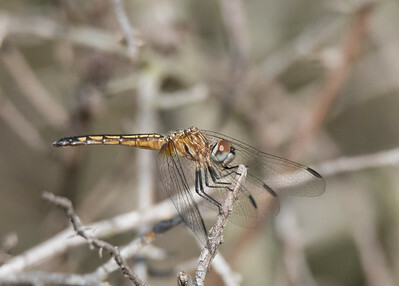 Pollen has collected on the top of its bill. 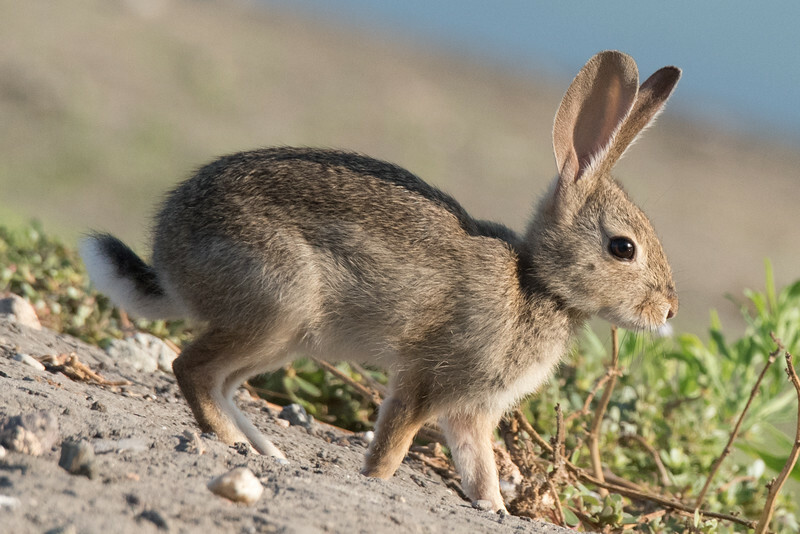 Desert (or Audubon's) Cottontail on the embankment of Pond 2. 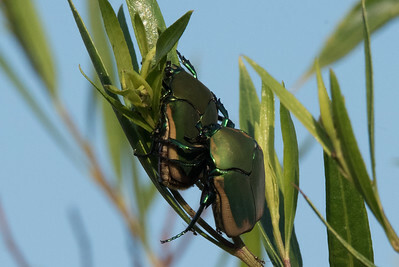 Pair of Fig Beetles 'courting' near Pond 1.